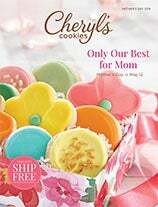 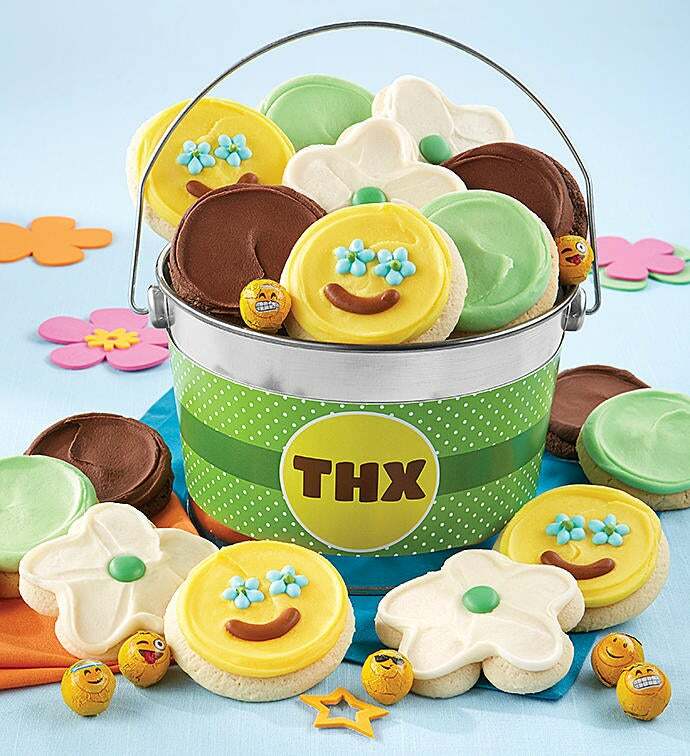 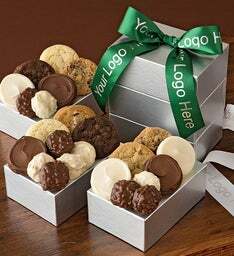 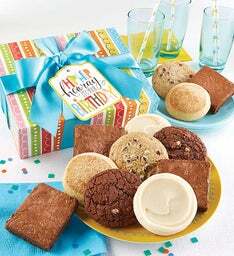 Send a sweet thank you to friends, family and business associates with our shiny silver pail overflowing with Cheryl’s individually wrapped emoji cut-out cookies. 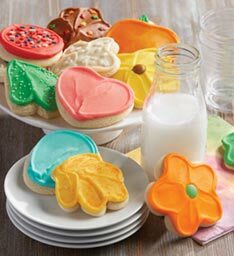 We’ve also included our popular buttercream frosted triple chocolate and key lime cookies along with our emoji chocolates. 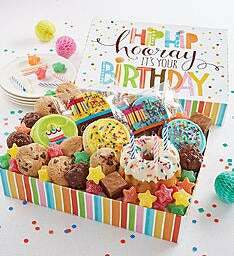 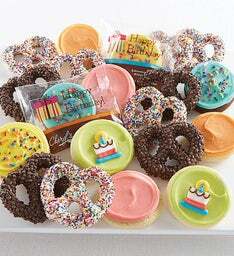 24 pieces.